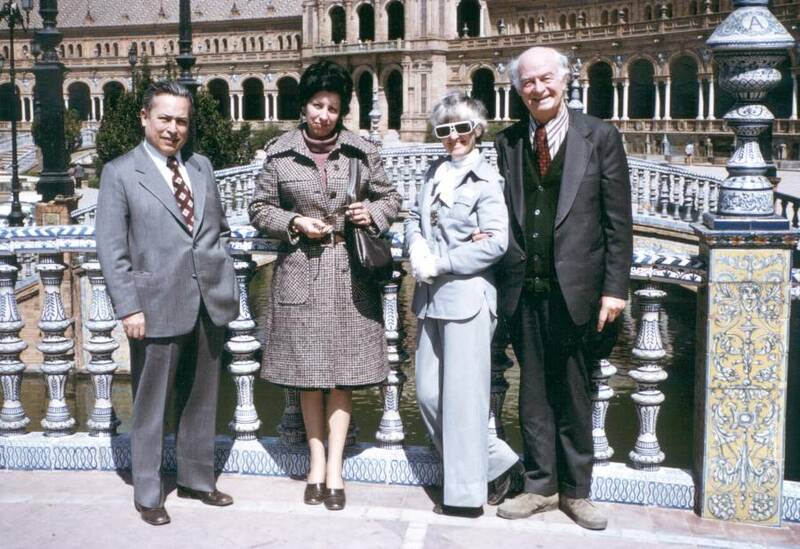 Mrs. Manuel Ballester and Professor Mortonez-Moreno, Ava Helen and Linus Pauling. Seville, Spain, 1975. We’re very pleased to announce that the Pauling Chronology, written by biographer Robert Paradowski and published online in 2009, is now available in Spanish. 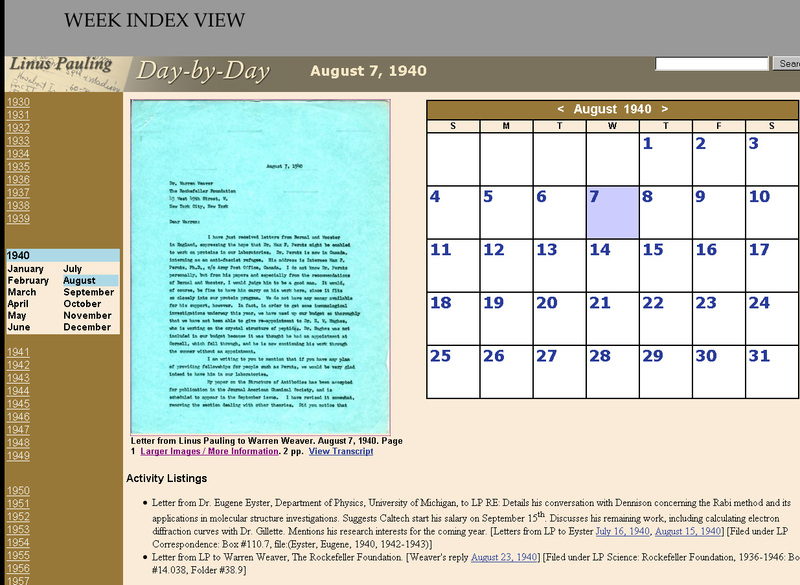 We believe that the Paradowski Chronology is the best “one-stop” resource available online for those interested in learning more about Linus and Ava Helen Pauling’s life. Elegantly written and rigorously detailed over the course of twenty-eight chapters, the Chronology is, in effect, an index to the Paulings’ life story. As one might expect, the Chronology provides a thorough overview of the Paulings’ career achievements, from Linus’s early breakthroughs in chemistry, through the couple’s many years of peace work and Dr. Pauling’s later focus on orthomolecular medicine. Along the way Paradowski also notes important personal milestones in Linus and Ava Helen Pauling’s life – be it their various entanglements in social and academic politics, their battles with various health problems or important moments in the lives of their four children. 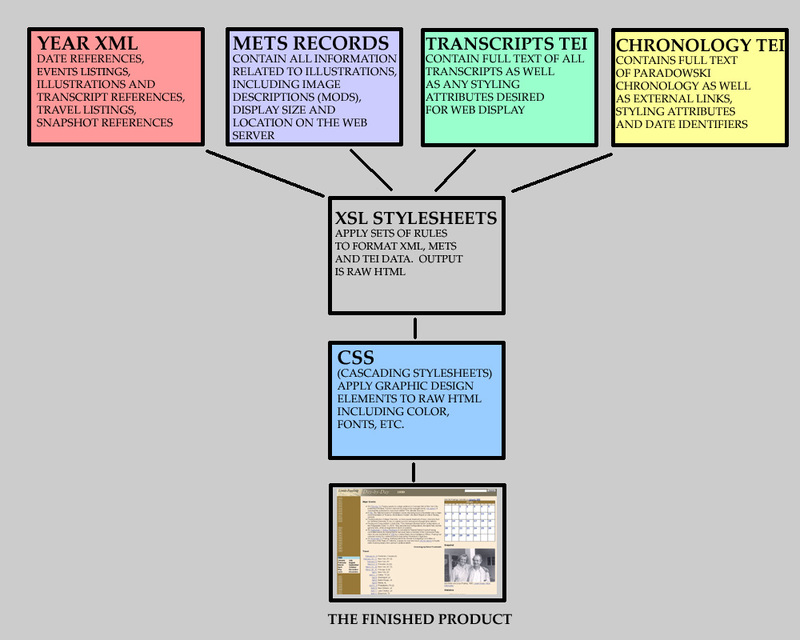 The Chronology translation project, which took our staff more than one year to complete, will hopefully prove to be an important tool in expanding the story of Linus and Ava Helen Pauling’s work to a much broader online audience. 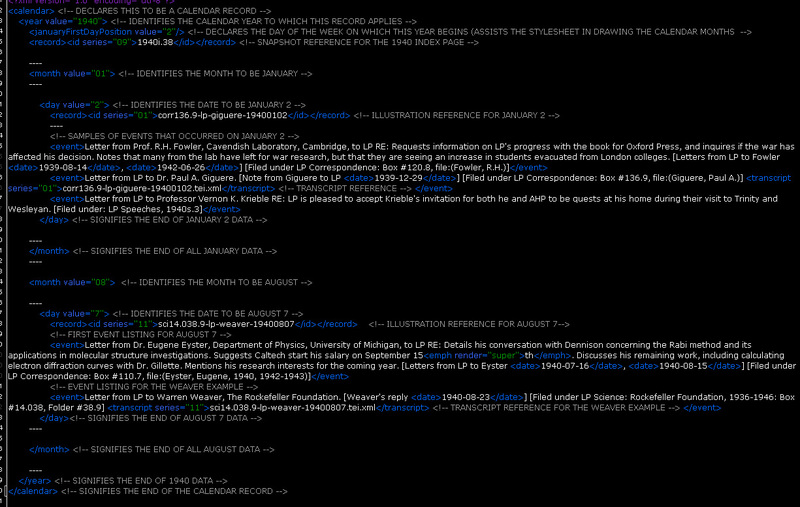 Future translations of the Chronology into additional languages are currently in the planning stages. Nos alegra mucho anunciar que la Cronología de Pauling, escrita por biógrafo Robert Paradowski y publicada en el Internet en 2009, ya está disponible en español. Creemos que la Cronología Paradowski es el mejor recurso que es disponible en un lugar en el Internet para la gente interesada en aprender más sobre las vidas de Linus Pauling y Ava Helen Pauling. Escrita elegantemente y detallada rigurosamente durante veintiocho capítulos, la Cronología es, en efecto, un índice de la historia de la vida de la familia Pauling. Como uno puede anticipar, la Cronología proporciona una visión general amplia de los logros de la carrera de los Pauling, desde los grandes avances en química de Linus, hasta los muchos años del trabajo en la paz de la pareja y el enfoque posterior del Dr. Pauling en la medicina ortomolecular. En la Cronología Paradowski también anota hitos personales importantes en las vidas de Linus Pauling y Ava Helen – ya sea sus varios enredos en la política social y académica, sus batallas con varios problemas de salud o momentos importantes en las vidas de sus cuatro hijos. El proyecto de la traducción de la Cronología, el cual le llevó a nuestro personal más de un año de terminar, con optimismo resultará a ser un herramienta importante en extender la historia del trabajo de Linus y Ava Helen Pauling a una audiencia del Internet mucha más amplia. Traducciones futuras de la Cronología a idiomas adicionales están en las fases de planificación. The date February 28, 2001 is meaningful to many residents of the Pacific Northwest. At 10:54 AM that morning, the Nisqually earthquake, a magnitude 6.8 temblor located northwest of Olympia, Washington, shook the earth beneath the greater Seattle-Tacoma area and ultimately caused over $1 billion in damage. Some 200 miles south in Corvallis, faint signs of the earthquake were noticed. In the lobby of the LaSells Stewart Center, for instance, observers noted coats on a coat rack mysteriously swaying. At the time, few thought much of what they were seeing however, given that an important local event (if something short of seismic) occupied the attentions of most. February 28, 2001 was the one-hundredth anniversary of Linus Pauling’s birth and the LaSells Stewart Center was the site of a day-long conference honoring Pauling’s memory. Whereas Zewail spoke of time, another of the day’s presentations, by crystallographer and long-time Pauling family friend Dr. Jack Dunitz, focused on space. Dunitz, Pauling and many others enmeshed in the practice of crystallography shared a deep interest in developing theories governing the rules that underlie “closest-packing” in molecules, work that Pauling and Max Delbrück extended into the realm of biology through their theory of molecular complementarity. Jack Dunitz at a Caltech graduate student outing, ca. 1948. Two Pauling biographers were likewise involved in the centenary activities. Tom Hager spoke eloquently of the real world consequences that enveloped the Paulings as their peace work assumed international prominence. Dr. Robert Paradowski reflected upon a turbulent period of the Paulings lives as a young couple, as the pair toured through Europe during Linus’s Guggenheim studies in 1926-1927. Perhaps the day’s most broadly interesting talk, however, was delivered by Linus Pauling, Jr., the eldest of the four Pauling children. Recalling memories as varied as Christmas traditions, the family cars and an eventful restaurant meal, Linus Jr. shed insight into a world hidden from even the closest of colleagues and most meticulous of biographers. In the video excerpt below, Linus Jr. recounts the details of a cherished family tradition – regular vacations to the Painted Canyon desert. Transcribed video of the Pauling Centenary Conference is available here. As the dynamics of Soviet dogma evolved, the enmity surrounding the so-called “resonance controversy” simmered down, and by the late 1960s Pauling had gone from being a disparaged name in Soviet chemistry to a respected scientist and much-admired advocate of nuclear test bans and international peace. This visit was swiftly followed by his election to the Soviet Academy of Sciences in 1958 – along with Detlev Bronk, the head of the National Academy of Sciences, Pauling was the first American to receive full recognition from the Soviet Academy. Predictably, the honor was likewise enough to raise the eyebrow of the U.S. media, including the New York Times, which suggested that “it is impossible in today’s world position simply and naively to ignore the political implications” of the decoration. Linus and Ava Helen traveled to the Soviet Union a second time in 1961 to attend the second centenary celebrations of the Academy of sciences, where they took the opportunity to deliver a handful of lectures, and to see more of the country, including a visit to Siberia and the shores of Lake Baikal. The early 1960s also saw the reacceptance of Pauling’s formerly disgraced popularizer, Ia. 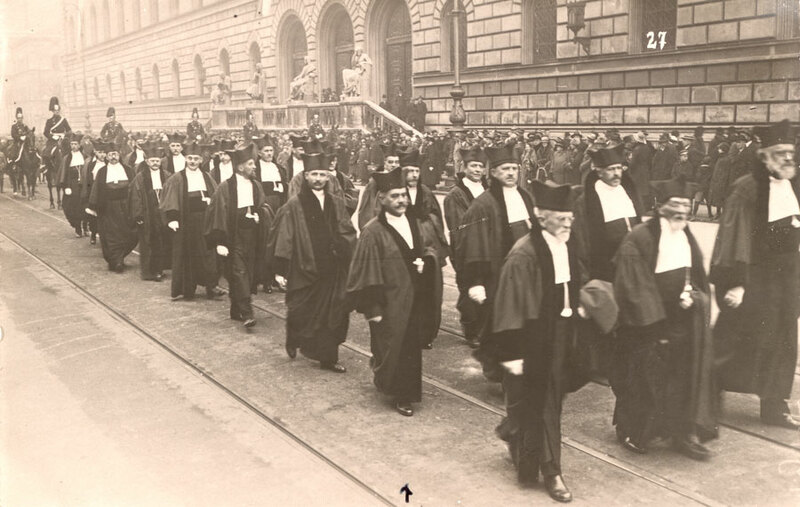 K. Syrkin, back into the Soviet Academy of Sciences. 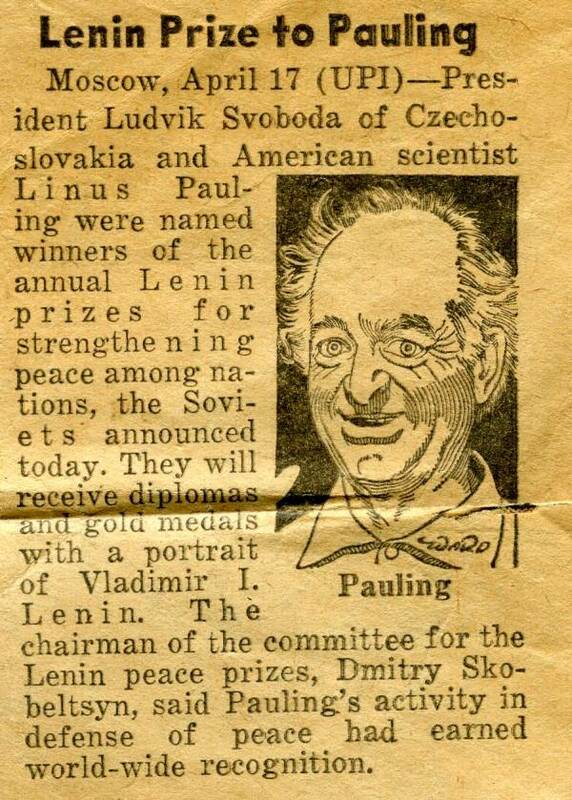 By 1970 Pauling was recognized by the Soviet government for his peace activism with the Lenin Peace Prize, a honor bestowed upon foreign individuals conducting notable work in furthering international peace. 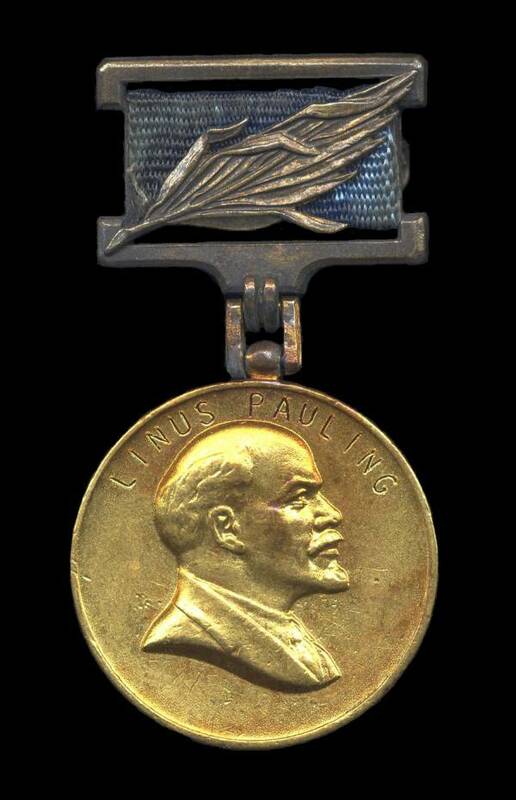 Eight years later the Soviet Academy of Sciences decided to formally recognize Pauling’s scientific achievements by awarding him the Lomonosov Gold Medal, the highest award the Academy gave. 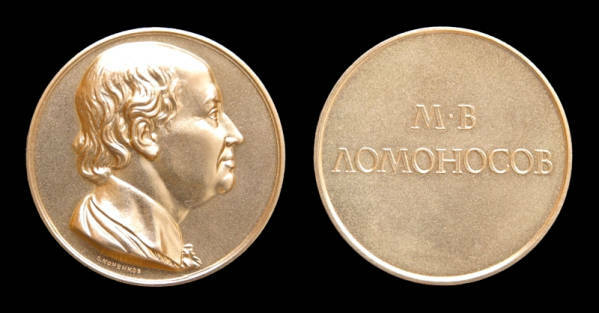 Lomonosov Medal, awarded by the Presidium of the Academy of the USSR, September 1978. As might have been expected, Pauling did not hesitate to use his increasing fame in the Soviet Union to continue his advocacy for nuclear testing bans and better cooperation between the Soviet Union and the United States. His correspondence with Nikita Khrushchev, as contained in the Pauling archive, provides a revealing look into the increasingly intimate relationship between advocacy and diplomacy that helped define Pauling’s later peace work. 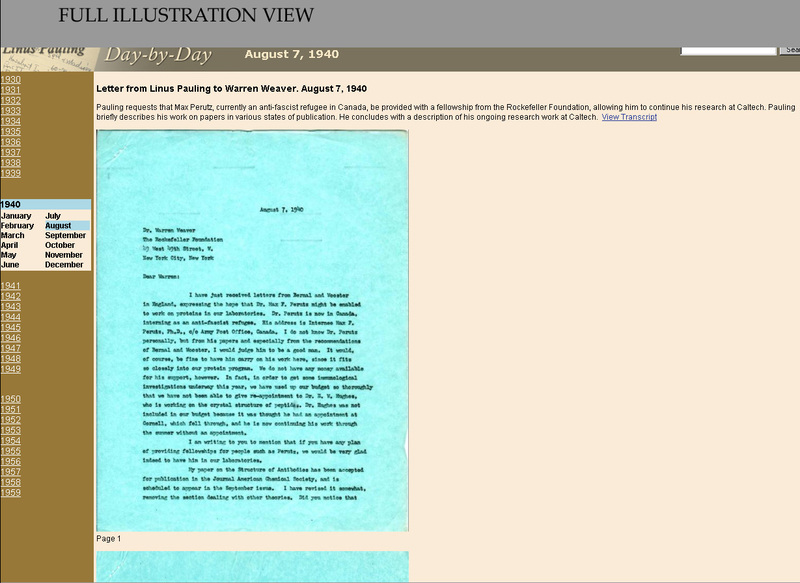 Draft of a letter from Linus Pauling to Nikita Khruschev, October 18, 1961. Khruschchev's response to Pauling, October 27, 1961. 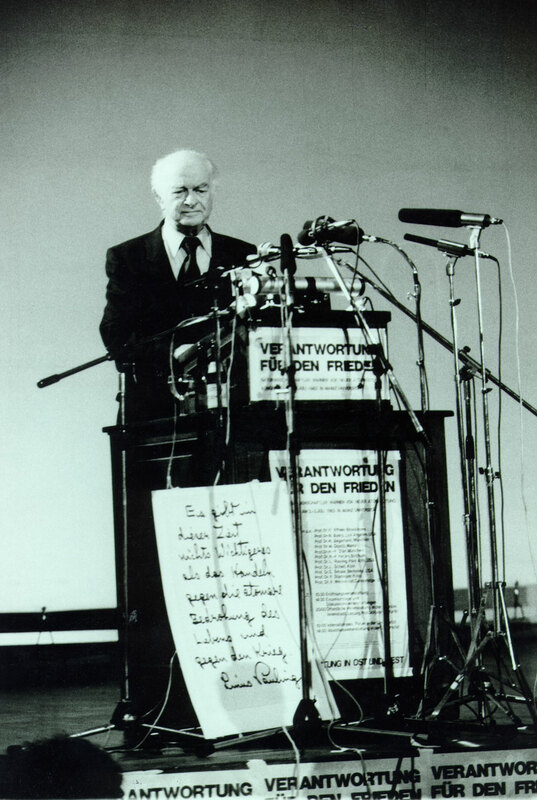 Learn more at the website “Linus Pauling and the International Peace Movement,” available via the Linus Pauling Online portal. 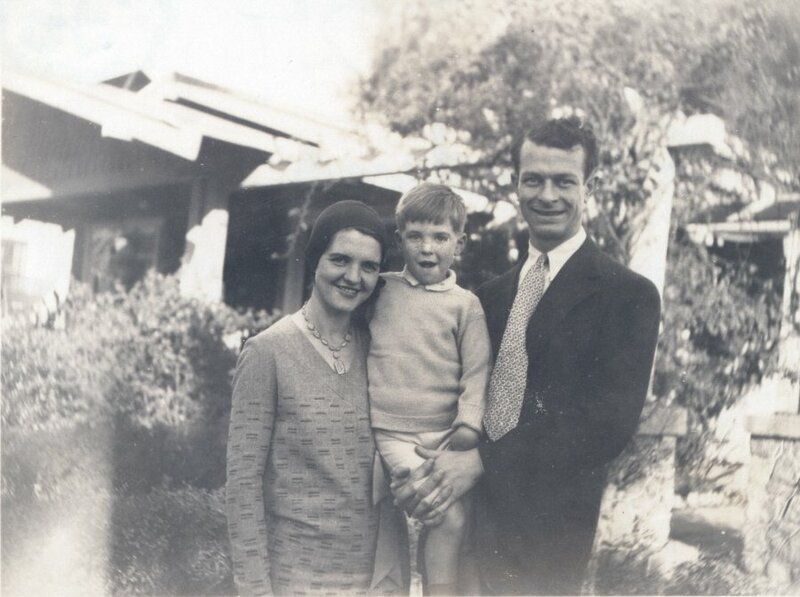 Ava Helen, Linus Jr. and Linus Pauling, 1930. – Derek Davenport, “The Many Lives of Linus Pauling: A Review of Reviews,” Journal of Chemical Education, 73 (9): A210. September 1996. Every year, in celebration of Linus Pauling’s birthday anniversary, we try to release a new project either on or near February 28th. Nine years ago, we participated in the mounting of a small plaque in Oregon State University’s Education Hall Room 201, which identified the location where Linus and Ava Helen Pauling first met in 1922. The next year marked the Pauling Centenary and a large day-long conference was held in honor of the occasion. Since then, most of our birthday releases have come in the form of websites – Linus Pauling Research Notebooks in 2002, The Race for DNA in 2003, Awards, Honors and Medals in 2004, and an expanded version of Linus Pauling and the Nature of the Chemical Bond in 2008. 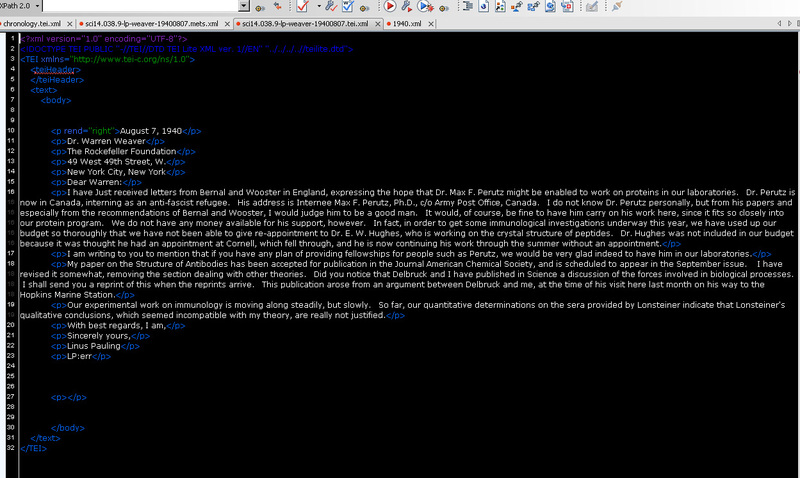 The 2009 release is Robert Paradowski‘s The Pauling Chronology, a 27-page TEI-based web resource, the content of which Derek Davenport referenced in the 1996 quote above. 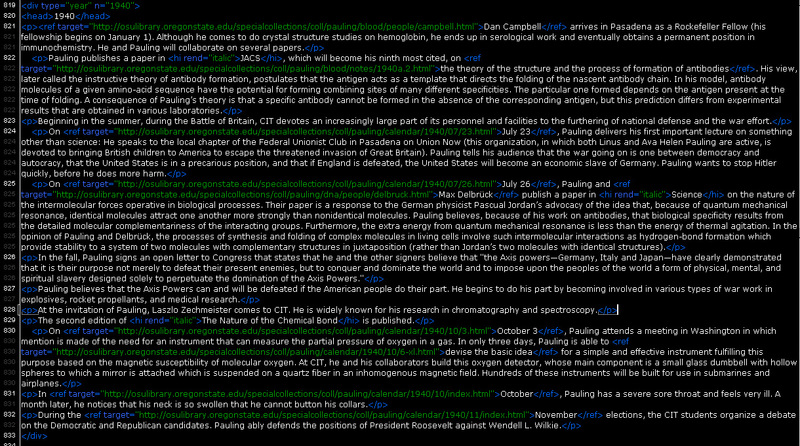 The Chronology is being advertised as “the most detailed overview of Linus Pauling’s ancestry, life and work available on the web,” a statement that we feel can be made without hesitation. As Davenport notes, Paradowski enjoyed the most-unfettered access to Pauling of any of his at-least four biographers, and has compiled what is surely the most extensive compilation of biographical interviews conducted with Pauling and his associates. Consquently, it is chiefly Paradowski upon whom we must rely to fill in certain scarcely-documented eras of Pauling’s life, particularly his early years as a boy in Condon and Portland, and as a young man at Oregon Agricultural College. 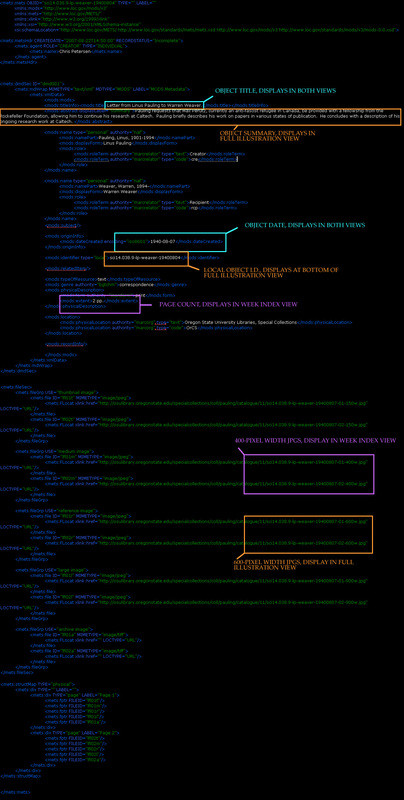 As a web resource, the Chronology likewise addresses certain major topics that have yet to be properly explored by other members of the Pauling online collective (ourselves, of course, included). Pauling’s historic program of research on the structure of proteins, for instance, while touched upon in The Race for DNA, has not yet received the attention that it deserves, at least in terms of an Internet presence. The Chronology helps to remedy this situation. Even moreso, Pauling’s controversial infatuation with vitamin C, as well as the unsteady early history of the institute which bears his name, receive a fair and thorough treatment in Paradowski’s write-up. Toward the end of [Pauling’s] life, someone had sent him a Bible with gigantic print. He was having trouble with his vision, but because this book had such gigantic print he was reading the Bible again…. And perhaps he ran into this passage in Ecclesiastes, and I’d like to quote it as my finish: “Let us search then like those who must find, and find like those who continue to search, for it is written the man who has reached the end is only beginning.” And that’s the way I feel about my work on Pauling – no matter how much I do, it seems like I’m just beginning. The Pauling Chronology and the transcribed video of a 1995 talk by Dr. Robert Paradowski are both available via the Linus Pauling Online portal. Linus Pauling, posing in his buffalo-skin chaps, 1906. Linus Pauling is well known for his brilliance, wit, drive, and determination. Even at a young age, he showed a remarkable interest in academics and a surprising level of self-motivation. His native intelligence can perhaps be attributed to biology, but his penchant for learning and his commitment to work are products of his experience. Pauling’s biographers have devoted years to unlocking the secrets of just what made him so unique, picking apart his life experiences and teasing out distant memories. Even so, much about Pauling – especially the young Pauling – remains a mystery. In the spirit of psychological discovery, The Pauling Blog would like to take a moment to explore Pauling’s childhood in Condon as described by those who have made a career of recording his life. In his introduction to Linus Pauling: Scientist and Peacemaker, Tom Hager sets the stage for an in-depth look at Pauling’s childhood. What forces created Linus Pauling? Even after all this time and study, I cannot say. But I can provide some clues. The first come from his early years. I think it significant that Pauling was born and raised in the Western U.S., in a place and at a time when the pioneer virtues of bravery, perseverance, and hard work were extolled; where people were valued for the work they did, not the name they carried; and where egalitarianism and openness were valued. – Hager, Thomas. “The Roots of Genius,” in Linus Pauling: Scientist and Peacemaker. Corvallis: Oregon State University Press, 2001, 3-4. Pauling has often been called odd, eccentric, and sometimes even crazy. His dedication to the fight for peace was seen as courageous by some, and ludicrous by others. 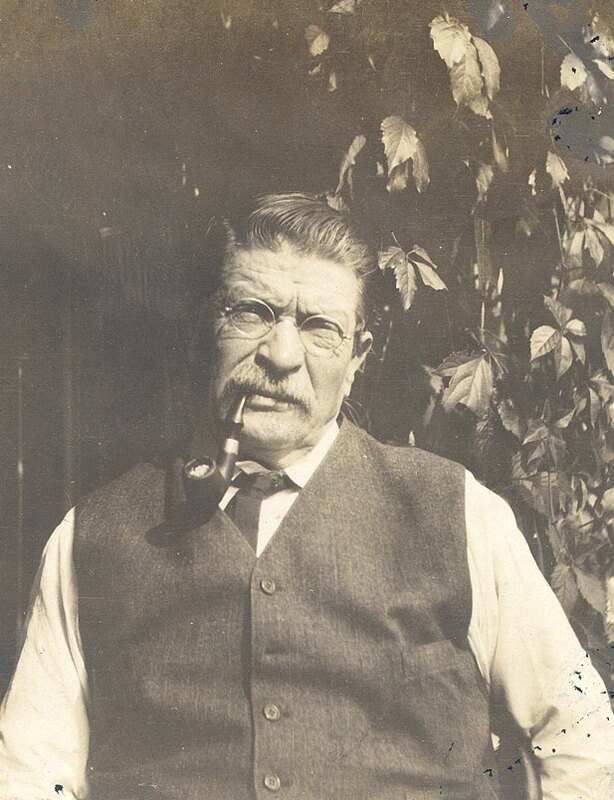 Whatever the case, Pauling’s Condon relatives did have a peculiar family history. His father’s family was of sober and hard-working German immigrant stock; his mother’s was somewhat more eccentric. On his mother’s side, the Darling family, he had a grandfather who practiced law without a degree; a great uncle who communed with an Indian spirit; an aunt who toured the state as a safecracker (legally; she practiced her skills for a safe company); and a mother whose chronic anemia kept her bedridden for long stretches. 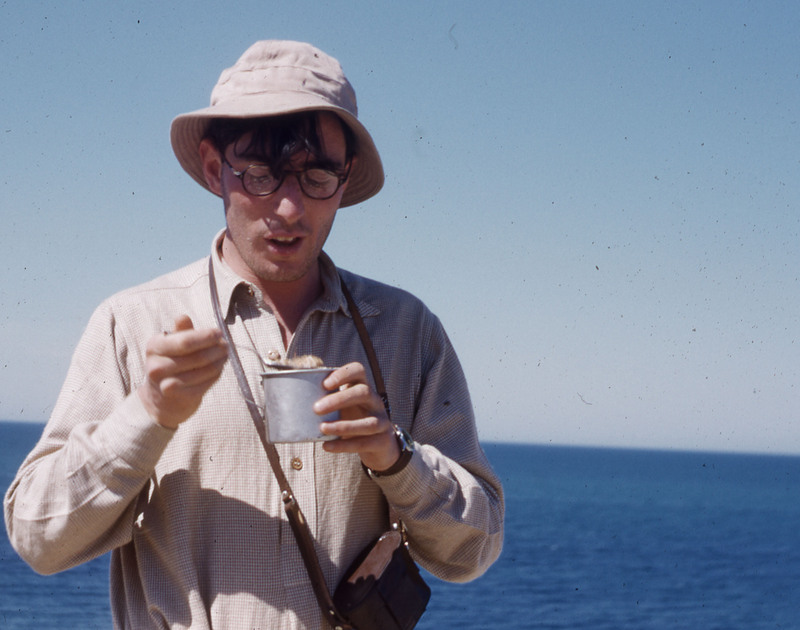 In an unpublished manuscript, Robert Paradowski, a biographer who worked closely with Pauling over multiple decades, describes the individuals that Pauling encountered during his time in Condon. Some of them, Pauling remembered in his later years, even helped shape his thinking. 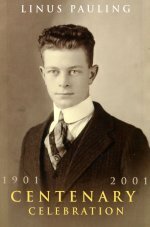 Many of Pauling’s memories of his childhood focused on Herman Pauling, his father and Condon’s local pharmacist. When interviewed about his relationship with his father, Pauling recalled a kind and caring man who protected his family, even at cost to himself. It should be noted that Pauling’s memory was at least partially incorrect and that, in reality, Herman was not arrested for assault. Instead, he was tried for bootlegging, an accusation that proved to be false. Finally, we must remember that Pauling, though he grew up to be a highly-respected scientist, was once mischievous. In an interview with Victor and Mildred Goertzel, he recalled one of his youthful (and occasionally disastrous) misadventures. Though these anecdotes cannot decode Pauling, they offer us a rare glimpse at events that shaped him and his role in the world. In considering his childhood we are reminded that, despite his later achievements, he was once a little boy much like any other. Learn more at Linus Pauling Online.